An in-depth course on the regulation of utilities and other markets with regulated infrastructure. Combining a solid theoretical foundation with interactive hands-on experience this long-running course has equipped dozens of senior executives, consultants and new starters alike with the skills they need to help their businesses prepare for price reviews and operate in regulated industries. The Utility Regulation training course equips attendees with practical knowledge of the fundamental tenets of price controls, including sessions on assessing efficient costs, understanding the cost of capital and designing incentive schemes. Delivered by experts from Europe Economics, this course has been carefully designed to ensure attendees leave with a comprehensive understanding of the methods used by utilities regulators and the implications of their approaches. The syllabus is tailored to deliver a diverse range of sessions that will be relevant to all departments, including strategy, finance, regulation and compliance. Very informative, good practical session and good size of people attending so right feel. Most beneficial and definitely a great high level overview of utility regulation. Increased my understanding. Dermot Glynn is a member of the Competition Appeal Tribunal and a Senior Adviser at Europe Economics. 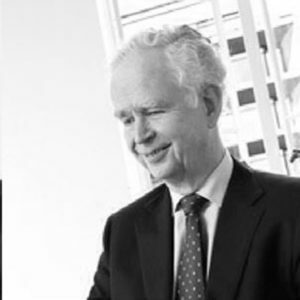 He has overseen the successful execution of a wide range of projects for a variety of utility and other regulatory clients, both public and private sector. Earlier in his career, Dermot spent time as Managing Director of another economics consultancy, Chief Economist at the accountancy firm KPMG, and Economic Director at the Confederation of British Industry. Stephen Topping is a Managing Consultant who has led many of Europe Economics’ utility regulation projects. 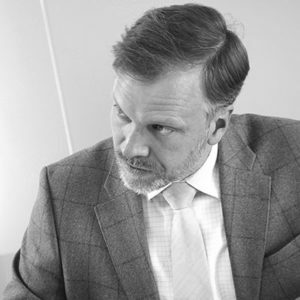 He has over 18 years’ experience advising clients across a range of utility and transport sectors, including clients in the energy, water, airports, rail and telecoms sectors. He has advised on many aspects of utility regulation, including the design of regulatory frameworks, the cost of capital and cost assessment. 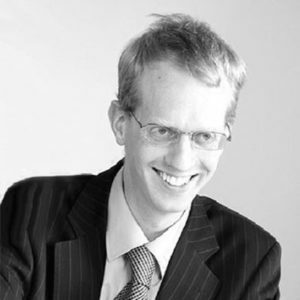 He has worked on secondment within Ofwat, Ofgem, Ofcom and the (then) OFT. .
Dr Andrew Lilico is a Director of Europe Economics and is a leading finance expert. He has directed major projects on the cost of capital, competition, and impact assessment. He has lectured at UCL in Corporate Finance, Money and Banking, and Macroeconomics. He is a member of the IEA/Sunday Times Shadow Monetary Policy Committee, and is a frequent commentator on the BBC, Sky, Bloomberg and CNBC. In this session attendees will break out into smaller groups to practice building up price controlled revenues from the building blocks using Excel models. Doing the calculations with the illustrative data provided will help attendees to cement their understanding of how the process works. Join senior executives for the 11th incarnation of the leading water industry conference in the UK, Future of Utilities: Water 2019. Covering everything from excellence in customer experience to infrastructure planning, and the retail market to flood prevention, this unrivalled forum is not be missed. What is data’s true potential, and what are its costs? The future of the utilities industry will be transformed forever by data analytics, the Internet of Things and new technologies. In order to adapt to its new future, electricity, gas and water networks must rise to the challenge they face, or they risk missing their incident reduction targets and spiralling operational costs. Future of Utilities: Innovation in Networks showcases those at the forefront of industry advancement by bringing networks together to discuss how asset management is changing as a result of new sensor data and analytical capability. Smart Metering Update is the UK’s leading strategic metering event where over 130 energy suppliers, DNOs and Policymakers gather to address critical issues ranging from technical challenges and roll-out strategy to customer engagement and preparing for a much more connected utilities sector.